Tibet! The very name conjures everything that is mystical about the Himalaya. And at our offices in Kathmandu, we are very enthusiastic about Tibet; for years, we looked at the Himalayan peaks and yearned for that which lay beyond. 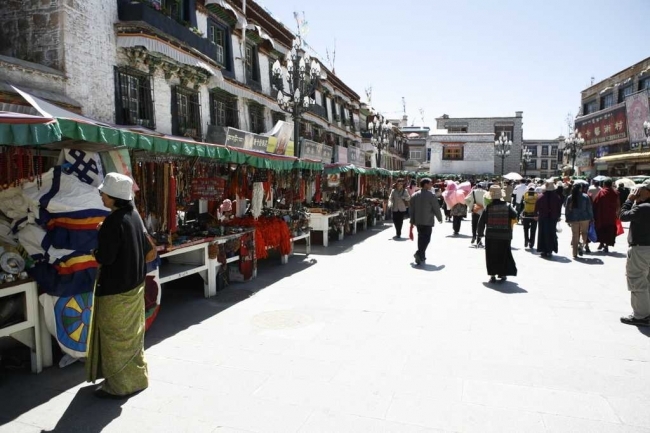 Then, in 1981 Tibet was opened to tourists and almost immediately we operated our first Tibet tour. In 1984 the road connecting Lhasa to Kathmandu was opened and another exciting possibility came into being – the overland journey to Lhasa! And again, we were among the first to operate these pioneering overland tours. In 1995, we became only the second company to run trips to Mt. Kailash in western Tibet as a trek starting in far western Nepal. 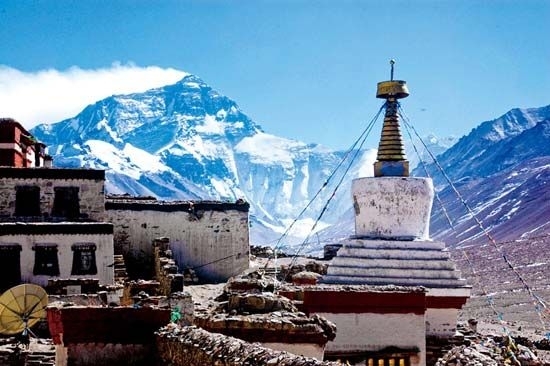 We confidently introduced our tour and trek operation skills, practiced and perfected in Nepal to Tibet. 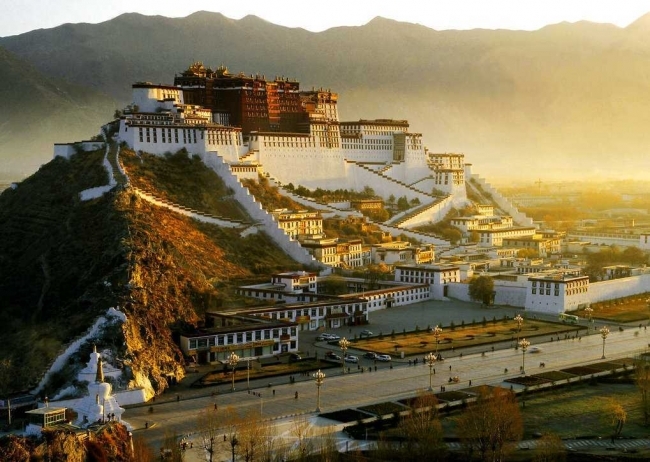 Tibet is a vast plateau occupying nearly 2.4 million square kilometers or a quarter of all Chinese territory. Almost half the plateau falls within the Sichuan and Qinghai Provinces of China leaving a still vast 1.2 million plus square kilometers in Tibet itself. It is sparsely populated with about three million people. And it is high. With an average altitude of 4900 m., it is truly the roof of the world. 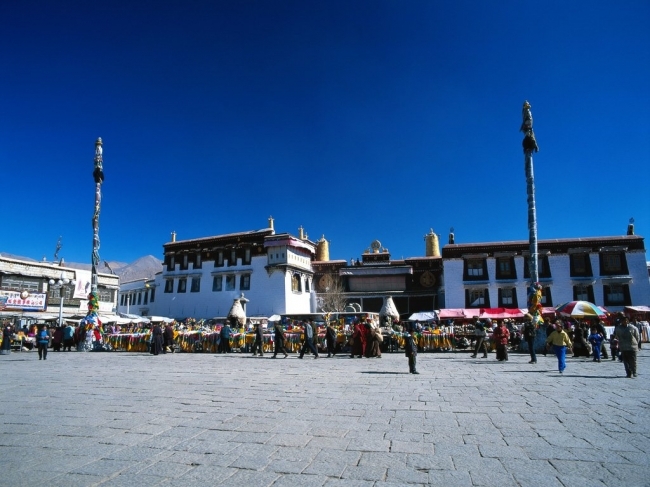 Tourism has come a long way in Tibet from the early days of the first overland tours on dusty or non-existent roads. Massive investments in infrastructure has brought development to large parts of the territory and this process is on-going. Roads, railways and airports are being developed, opening the interior to never before dreamed of possibilities. There is now an airport in Shigatse and the Qinghai – Lhasa railway, that marvel of engineering, has been extended to Shigatse. The people of Tibet mostly practice Vajrayana Buddhism, although some argue that Tibetan Buddhism is an altogether separate sect. Buddhism was introduced to Tibet from India in the 8th century CE during the reign of king Trisong Detsen who invited Indian Buddhist scholars to translate important Buddhist scriptures into the Tibetan language. 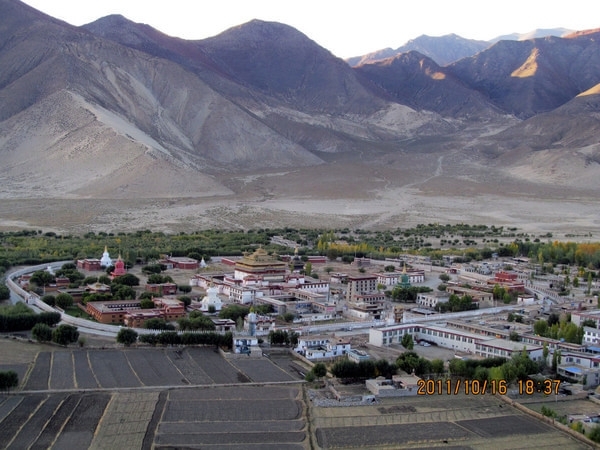 Buddhism enjoyed unprecedented growth in Tibet witnessing the founding of four major sects and the building of large monastic communes and lamaseries around impressively built monasteries throughout the land. Some of these monasteries were sacked and vacated during the cultural revolution but, have largely been rebuilt as people have returned to their devout ways of life.